Our goal at Maid Brigade of Silver Spring is to make your home healthier while giving you time back. Our customers keep their evenings and weekends to themselves – never having to plan dates with their vacuum cleaners. We hope you will consider switching to our reliable, trustworthy and thorough green housecleaning service by calling us today or filling out an Instant Quote form. We’re confident that when you choose Maid Brigade to clean your home, you’ll walk in feeling peace-of-mind and be amazed at how sparkling clean it is. 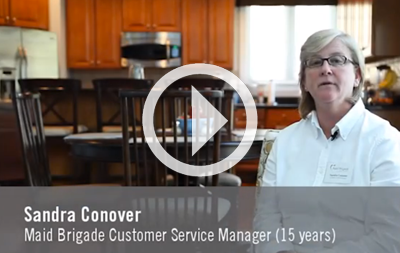 Homeowners served by our Silver Spring maid service learn that a Maid Brigade clean is a healthier clean. 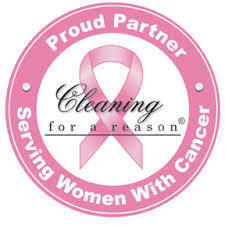 We offer a thorough and consistent housecleaning while helping to keep you healthy. We do this by using the greenest processes, equipment and solutions. We have earned Maid Brigade’s Green Clean Certification. Just click the Green Clean Certified logo on the top left of this page to learn how the Silver Spring Maid Brigade office can make your life easier and healthier. Find out why green maids and cleaning green are better for your health and the planet’s continued beauty. Maid Brigade’s Silver Spring maid service employs professional household cleaners you can trust with your house, your possessions, and your loved ones. We want you to be able to get out and do all the things you’d rather do with your free time. Our clients work and play with confidence knowing their homes are being cleaned by trustworthy, local maids. They can rest easy - all our maids are well trained, bonded, licensed and insured - and hired almost exclusively by referral. To schedule local house cleaning services for yourself or family member who is nearby, just call us or click the links at the left. We invite you to join your neighbors in stepping up to a healthier, greener clean today. Maid Brigade believes you’ll never look back. Areas serviced: Silver Spring including Hillandale, Takoma Park, Wheaton, and White Oak.